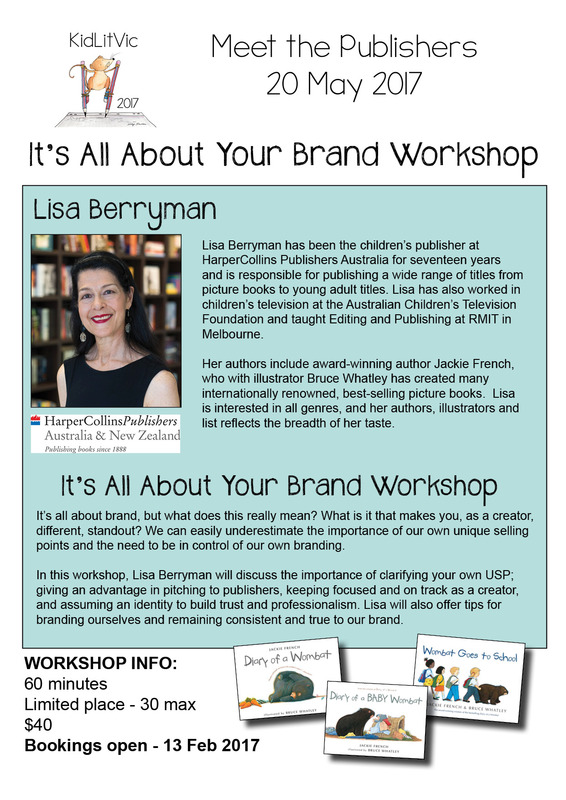 All week we have been teasing you with the news that next year, at KidLitVic we will be running a series of four workshops aimed at specific skills in children's publishing. They will run during the day and intertwined with the panels and assessments, (we are lucky to have a very clever member of our team who knows how to make all that work). Bookings will open on Feb 13, 2017 and the workshops will cost $40 with a limit of 30 spots available to maximise your opportunity to ask questions, discuss ideas and share experiences. In the meantime check out all the information here. The hardest thing is which one will you attend?